The Freedom Shortcut Review - Is It a Scam?? If you're reading this The Freedom Shortcut Review , I'm guessing you've recently stumbled across this website and you're wondering is it a scam? Or is it a legitimate opportunity to make money online? In this review, I'm going to reveal the truth. What Is The Freedom Shortcut? Well, the clue is in the title. The Freedom Shortcut, claim that they have a secret shortcut that will help you gain financial freedom. They claim that by using their system, you're going to be able to earn a minimum of $5000 per month. This isn't a huge number, to be honest. It's not a ridiculous claim at all, compared to most of the scammy websites that I review on here like Home Income System. Their whole website in general doesn't look too hyped up. This is a plus for The Freedom Shortcut. However, there are a few big red flags that I noticed while researching this website. All of which I will who you in this review. Let me show you some of the red flags that I noticed while researching into The Freedom Shortcut. If you're a new reader, you may not know this yet. But, one of the first things I look for every time when reviewing an online money making opportunity is who the founder is. I think this is some of the most important information to know. Because I think if we're going to be handing our money over to someone, and investing in their so called “system”, we should at least know a little bit about them first. It's good to know about their past successes within the industry and see how much money they've been able to earn themselves. Because after all, they claim that they have a way to make us lots of money, so they should have made a lot themselves, too. Right? 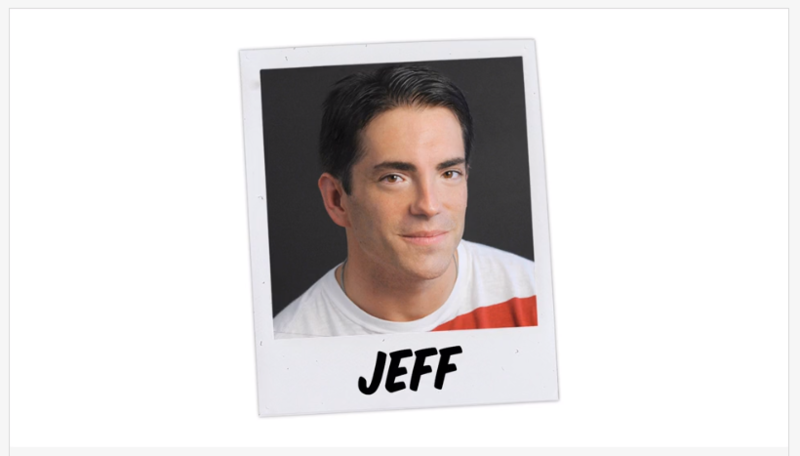 In the video, all he says is “my name is Jeff” and we get shown this picture. He never actually shows himself in the video, and we don't even get a surname to go with it. All we know is “Jeff”. This means that it's impossible for me to do any research on him at all. This leads me to believe.. well honestly, I'm 100% positive that Jeff is just a made up character. The real founder is hiding behind this alias in order to avoid angry customers who've been mislead into buying The Freedom Shortcut. And this is a major red flag. Like I mentioned already, when investing in ANYTHING, it's important to know everything about what you're investing in. So, the fact that the real founder is hiding, makes me lose ALL trust in this website. If I was in your shoes right now, I would exit out of this website straight away for that reason alone. After watching their sales video and going through to their checkout page, I noticed that the name of their system isn't even what you're actually buying into. This whole website, The Freedom Shortcut, is simply just a sales funnel for a completely different system. In fact, The Freedom Shortcut ins't a system at all. At the checkout page, you will just be buying into a high ticket program called 6 Steps To Freedom. What Are High Ticket Programs? A high ticket program, basically means that you can make money by promoting and selling their program. However, there is a catch. The catch is, that you first have to purchase the program in order to be able to earn commissions from it. For example, they might have numerous different programs. A $1,000 program, a $5,000 program and even maybe a up to $15,000. To earn commissions on any of them, you'll have to purchase them first. So, if you purchased only their $1000 program, and somebody you refer purchases their $15,000 one, then you're out of luck. You won't earn the commission on it. You can only earn commissions on whatever level you've bought up to. The Verdict – Do I Recommend The Freedom Shortcut? I never recommend high ticket programs to anyone. Simply because I don't like the way they work. Yes, you're able to make money with them. However, not without spending a lot of money first. It's basically pay to play. And the worst part is, your entire investment is in one website. So, if for some reason the website closed down (which happens often with these websites) then you would lose your entire investment. That's why I always recommend investing your money into some training. Training that will help you and teach you how to set up your own online businesses. So my verdit.. No I do not recommend The Freedom Shortcut. Thanks for reading The Freedom Shortcut Review.